I have spent nearly every day since this past Tuesday trying to find a single CD. This is not uncommon, as I happen to live in a town where there are literally 3 sources for music, a Wal Mart, which has eliminated half its selection, a K-Mart, which has eliminated 9/10th of its selection, and a place called Karma, which probably only sells a bad selection of CDs to disguise the fact that it is filled with pot memorabilia. Add on the fact that most music I consume is completely unknown by anyone else in this city, and you’ve got yourself a typical problem. The more frustrating part of this search, however, came from two factors. One, it was the new album by Grinderman, entitled Grinderman 2, which is Nick Cave’s side-project. Nick Cave also happens to be one of my favorite artists ever, and one of the few that would turn me into a screaming pyscho fan if I ever got within 10 miles of him. Second, my search wasn’t just of my hometown, but also of Indianapolis and Fort Wayne, Indiana, two of the biggest cities in the state. I finally found the disc today, but was almost to the point of vehicular homicide by the time I discovered a store that carried it. Things weren’t always so grim for music in the area. Alright, that isn’t completely true, things were this grim for a very long time, and have been ever since. However, for one shining period of about 6 months, there was an indie record store in Warsaw, Indiana. It was beautiful. 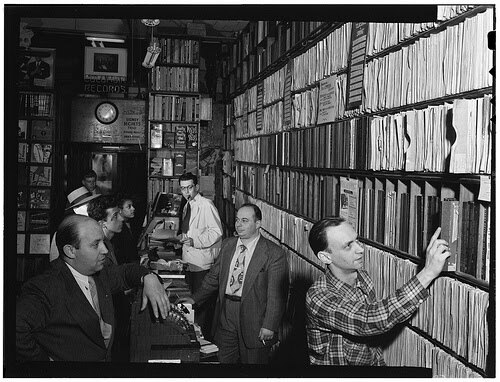 The place was called Round Round Records, a name poetic in its simplicity. Located in a tiny retail space downtown, it attempted to sell music from a variety of tiny record labels, all the while hosting local music events and encouraging the sharing and discovery of new music. It was Nirvana, tempered only by the fact that I was attending college during its brief run. For a time, I had hope for the city of Warsaw, belief that it could support something which with I could relate and appreciate. Of course, the fact that I loved the place meant that nobody else in Warsaw would. Before I could even come home for summer break and reap its full benefits, the store was shutting its doors. It never seemed that they really managed to sell much music, probably because of the aforementioned fact that nobody in town had ever heard of any of these artists. It was a kind of culture that my hometown just wasn’t ready to accept, as the average music lover listened to either country, Christian, classic rock, or modern rock like Nickelback (and yet some people wonder why I’m leaving). Even the local artist community is very traditional, with the more alternative and pop artists, like my cousin’s husband, seeming out of place and alien. Maybe one day the community will be ready for such a place again, but by then it’ll probably be too late. Real record stores are disappearing daily, and who knows how long before physical forms of music start to disappear completely because of digital distribution like iTunes. It’s already too late for Round Round Records, a place that made me want to call Warsaw home, at least for a few months.